Tuesday, April 25, 2017: New Delhi; If your childhood dream has been to drive an awe-inspiring Audi R8 or a jaw-dropping Lamborghini Aventador, MyChoize Self Drive cars is giving you a once in a lifetime chance to fulfill your dream and drive one of these ravishing beauties like you own it. 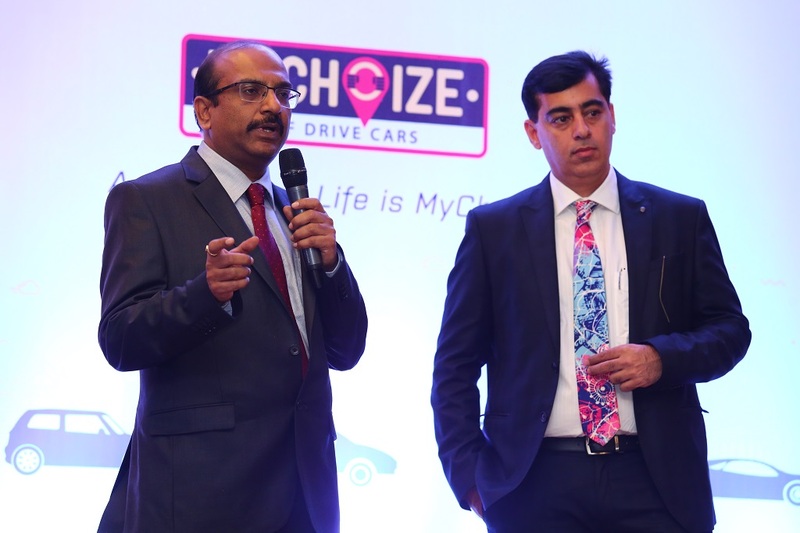 MyChoize Self Drive Cars, a brand owned by ORIX which is Japan’s second largest self-drive car rental company with a fleet of more than 63,000 cars, recently completed one year of its self-drive car rental operations in India. And on this occasion, MyChoize Self Drive Cars announced that it would be giving its Indian users a shot at fulfilling their childhood dreams of putting their foot on the accelerator of these throttling and speedy supercars from around the World. To mark its first anniversary, starting this Saturday, MyChoize users would be able to bid for a chance to self-drive their favorite supercars through India’s first and one of its kind live online auction portal made live on the MyChoize website. Mr. Sandeep Gambhir, MD and CEO of ORIX India speaking on the occasion of one-year celebrations of ORIX’s selfdrive car rental business in India said “We are happy and absolutely thrilled to present our users with this once in a lifetime opportunity to be behind the wheels of a supercar and experience its thrill. MyChoize is all about counting memories and creating unique user experiences, and selfdrive supercars shows the extent to which we at ORIX go to give our users the elegance they deserve with the experience they desire”. The MyChoize Auctions is a new functionality that would be available on the MyChoize website starting Saturday, April 29, 5 PM wherein registered users can see the supercar auction schedule for the upcoming week. After the start of a particular auction as per the schedule, users can login and bid for a chance to drive the supercar of their choize. The auction would be open for all MyChoize registered users and the first supercar stated to go on bid is the ravishing Audi R8. The auction will continue for 2 hours at the end of which the highest bidder will get to selfdrive a supercar for 30 minutes on an international racetrack at the Budh International Circuit, Noida. However, every time a new bid would be received in final 30 seconds from auction’s end time, the end time of the auction would be extended by 30 more seconds. MyChoize auctions will be India’s first live auction where all users would be able to see what other users are bidding and in-turn increase their bid in real time. The starting bid for the auction has been pegged at INR 100 with every increasing bid raising the highest bid by an incremental 50 rupees. Interested? Adding to the sweetness of the deal, Mr. Pankaj Jain, Executive Vice President at ORIX and Head of MyChoize and ORIX Rent a Car Business declared that “All the proceeds from MyChoize Auctions will be donated to various charities to help provide easy and cheap transportation to school going children in India’s villages”. 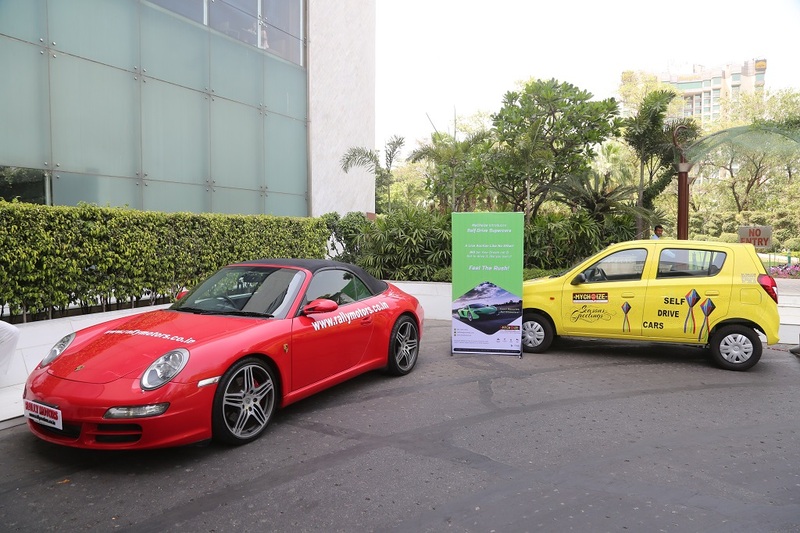 MyChoize Self Drive Cars in the first year of its operations in India has expanded its presence to nine major Indian cities including Delhi – NCR, Bengaluru, Chennai, Mumbai, Pune, Jaipur, Kolkata, Hyderabad and Ahmadabad. The company revealed that it has added more than 300 cars dedicated to the self-drive fleet across these cities and plans to add another 1,000 cars over the next 18 months while also expanding the base of operations to an additional 10 cities. In India, ORIX is already the largest B2B car rental player and with MyChoize it is quickly making its presence felt in the retail sector as well. MyChoize currently offers its users over 25 car variants across Hatchbacks, Sedans, SUVs, MUVs, Crossovers, Luxury and Hybrid cars with unlimited kilometres on all bookings. The cars can either be picked from one of the many conveniently located pickup locations across the 9 cities or can be delivered to user’s home, office or landing airports. So what are you waiting for? Logon to the mychoize website today and participate in the selfdrive supercar auctions for a chance to drive exciting new supercars everyday starting this Saturday 5 PM. ORIX in India is a 100% subsidiary of ORIX Corporation, Japan (ORIX). ORIX is Japan’s Largest Car Leasing Company, Japan’s Second Largest Self-Drive Car Rental Company and World’s Fifth largest Consumer Finance Company. ORIX is globally listed on the New York Stock Exchange and Tokyo Stock Exchange. In India, ORIX has been serving the Indian corporates for over 22 years with several business verticals including Car Rentals, Car Leasing, Employee Transportation Solutions, SME Lending, Service Centres, Self-Drive Car Rentals, Shuttles and Commercial Vehicle Finance. ORIX enjoys the distinction of being India’s largest B2B Car Rental Player, India’s Largest and Most Innovative Car Leasing Company and India’s Second Largest B2B Employee Transportation Provider.